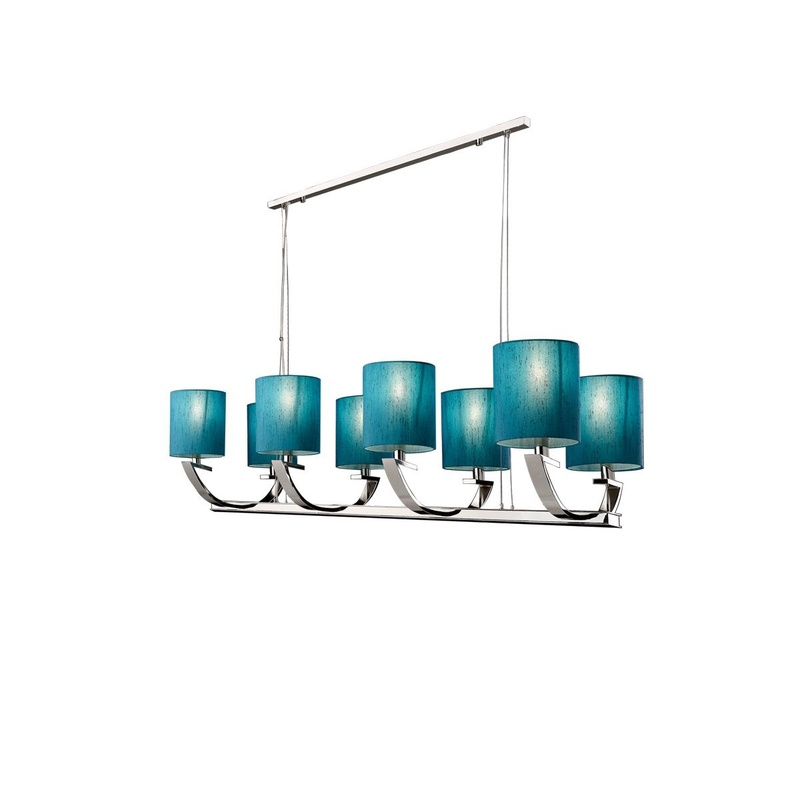 The Shaded Ceiling Light Bar is inspired by an American big band musician, arranger, composer, and bandleader in the swing era - Alton Glenn Miller. 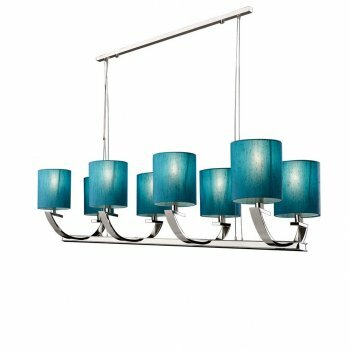 The intelligent contrast of blue shades and stunning nickel finish makes this a contemporary fixed 8 light ceiling bar a striking centrepiece. The nickel detailing lends your room an added tone of luxury, whilst the slimline design ensures it's modern and congruous with your interior. 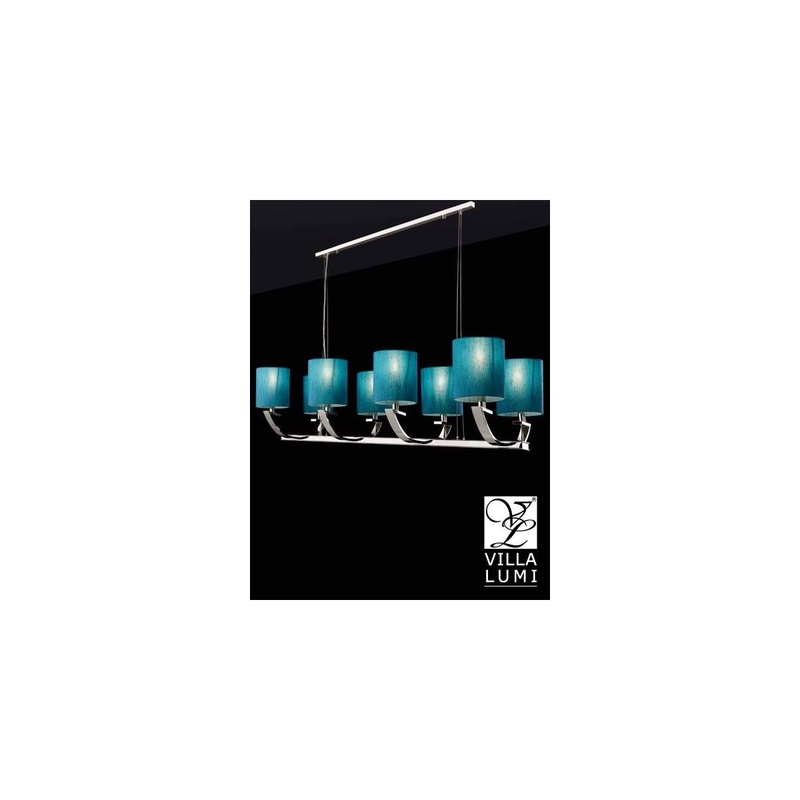 Create that trendy, modern look with this stylish Light Ceiling designed by Villa Lumi. Complete with blue shades it diffuses the light beautifully. Hang it above a dining table for that chic look. Available without shades too.